Today I'll share with you the pages and spreads that I've created in my second bullet journal until now. This time I've chosen a bright orange Leuchtturm1917 in A5 with dotted grid. (You can see my first bullet journal here). I started my second bullet journal in the beginning of September and I've managed to transfer most of my favourite spreads in it by now. For the past few months I've been using a new method for my future planning that - dare I say it - I prefer it from the Calendex method (shocking I know!!!). I saw it in Veronika's Instagram account and I knew straight away that I've finally found the perfect Future Log for me!! It's a combination of Ryder Carroll's Future Log and Alastair's Method. Basically, you write down the monthly tables for the next 6 months on the top of the page. I started from July, since that's when I started using this technique, but of course you can start any time you want. Underneath the month tables, on each page you then create one long table. The first 3 columns are one for each month and are titled with the first letter of the month. That's where you write the date that refers to that spefic month for each event you want to note down. Then you create a column for the event/appointment with all the information, and another one for the exact time of the event. Lastly, you create a small column in the end, where you can tick off any events/appointments that have already taken place. Of course you can add any other columns that might help you with your future planning. Once you've done that, you can then go ahead and add all your appointments/events to this table. Everytime you have a new event planed for the future, you can go straight to this page and add it with all the information needed. You can also create a colour code for each type of events, like I did, and mark them on the monthly tables on the top of the page. That way you can see straight away what you've got planned for the month. Genius! What I really like about this method, is that everything is in one page. You don't have to go back and forth to different pages to see what's planned. And also you have 6 months at a time to plan ahead. Perfect! Make sure you check out Veronika's Etsy Store where you can download this Future Log method. Also don't forget to check her website as well. I'm so glad that I've found this future planning method, because it has really helped with the way I plan ahead. 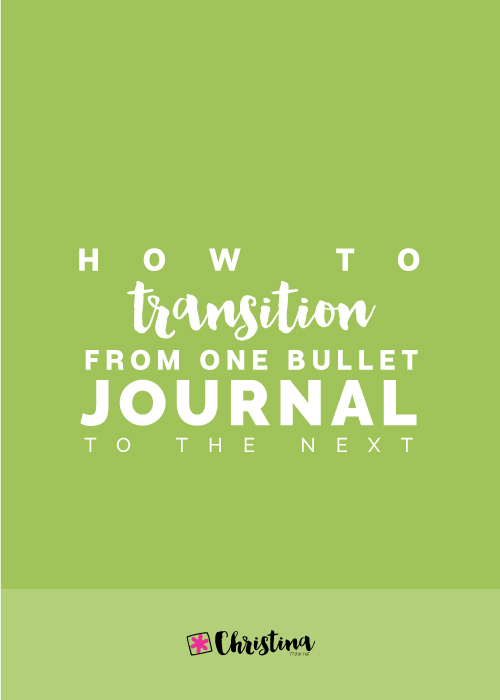 If you want more information on all the other methods you can use for your bullet journal, then you can check my post on future planning. Which method is your favourite? I used to be a straight lines girl. Sometimes I would fuss about the line spacing, or the colour of the lines, but that would be it. Since March though, I discovered the magical world of dot grid and my whole life has changed! Ok, that may be a bit dramatic! But seriously, for the last three months everything I buy has to have dots! From my various notebooks, to my post-its and my note taking papers - dot grid is everywhere. It all started when I bought my first Leuchtturm1917 bullet journal in dot grid and saw the difference. So, why do I prefer the dot grid from the squared, lined or plain ones? 1. It helps me keep my writing and my lines straight. 2. Easier to make shapes even without a ruler. 3. You can draw without the lines/squares obscuring the drawing. 4. You can create even to-do list tick boxes. 5. They are good for diagrams - makes scaling a bit easier. 6. You can even write vertically. - My Leuchtturm1917 A5 Dot Grid Light Blue personal bullet journal that I use all the time! I've made a detailed review about it if you're interested here. - My Moleskin Dot Grid Black blog bullet journal that I've just started using and I love it! I have made a post comparing the Leuchtturm1917 vs the Moleskine (though at the time I had a squared Moleskine). Even though I still believe that the Leuchtturm1917 has more advantages compared to the Moleskine one, however I tend to prefer the paper in the Moleskine notebooks. I know that it's thinner and it's not perfect for drawing or for darker and more wet pens, nevertheless, the pen seems to glide on the paper and I like my handwritting better on this one. For the purposes of my blog bullet journal, where I'm not drawing that much, it's perfect! - My A4 Dot Grid Notepad by Fabriano. I just discovered this italian brand and I love it! It's made of ecological paper in a pale ivory shade and the quality is amazing. They also have various types of notebooks in dotted grid that I'd like to try out. - My FULLFÖLJA notebook from IKEA. Small and compact, I carry it always in my handbag to write my notes on the go. 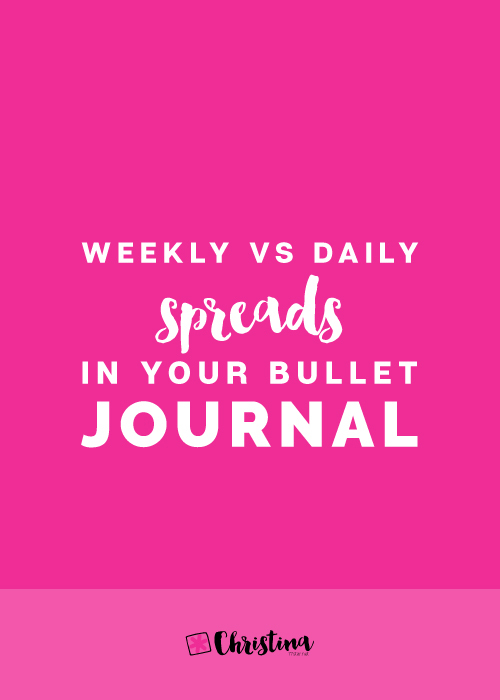 Subscribe now to my Newsletter to download the FREE Printable. Plus get access to the Resources Library! Yay! 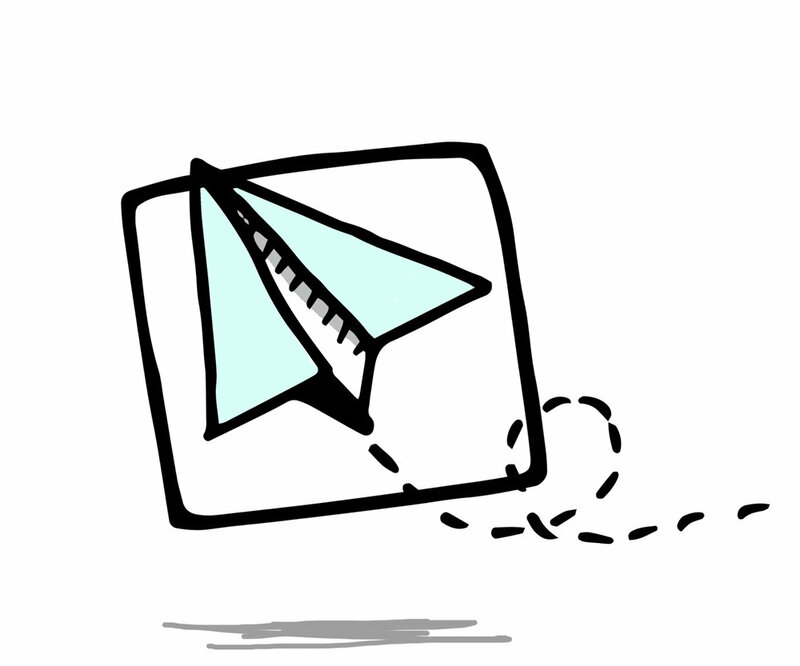 Thanks for subscribing to my Newsletter! Check your email now to get the free download and the password for the Resources Library! What type of grid do you prefer? Have you discovered the dot grid perfection yet? And yes, the day has come for me to announce the winner of my Instagram Giveaway! I'll contact you shortly to arrange all the details. And I hope you'll enjoy all the goodies! Instagram Giveaway - 5000 Followers! I cannot believe that I've reached 5000 followers over on Instagram! Thank you all so, so much! It means a lot to me. And in order to celebrate, what better way than a giveaway??! 1. Enter by 11:59pm EST on June 4th. 2. One entry per person. 3. Must be over 18 years old to enter. 4. No private Instagram accounts. 6. The giveaway is open worldwide. The winner will be announced on Monday 6th of June on my blog and on my Instagram account. 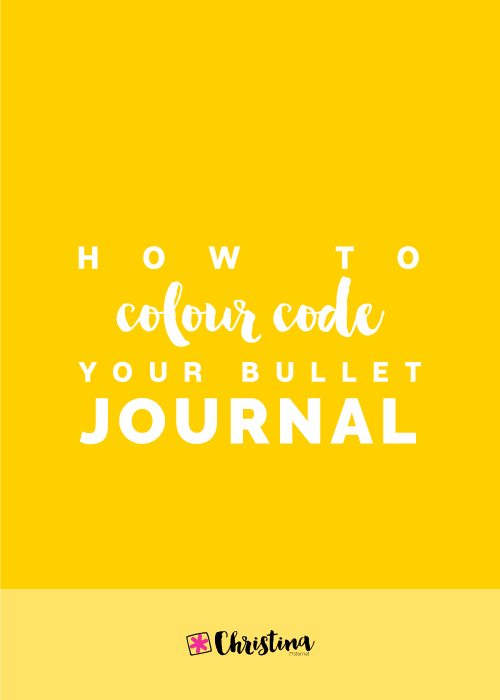 If you've been following my blog for a while now, you must have noticed that I have a small addiction as far as my bullet journal is concerned! Put it plainly, I'm obsessed!!! I started using the Ryder Carroll's future log. However, I decided to note down only birthdays, holidays and no school days. I found that if I included all the events and appointments as well, it would get very crowded and I didn't want that. The other methods mentioned above were not very appealing to me, so I didn't even consider those. In the beginning I thought that I didn't even need any forward planning apart from the future log mentioned above, my monthly spread and my weekly spreads. And that was ok for the first month. However, I needed to note down some future events and a summer wedding that we've been invited to and then the need for a more forward than a month future planning was created. I had seen the Calendex method mentioned online before, but when I saw Boho Berry's video I knew I had to try this one. 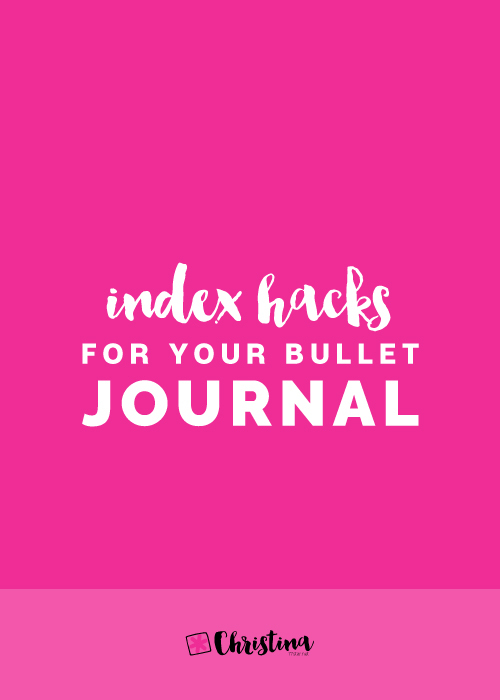 Before I show you how I use it in my bullet journal, I just want to explain a bit what a Calendex is and how it works. The Calendex method was created by Eddy Hope. Essentially a Calendex is a hybrid of a calendar and an index - that's how it gets it's name :) So you have a calendar of events and an index of page numbers with those events. You can use this method to schedule tasks and events that are planned months in advance. To set up your Calendex you'll need to use a double page spread. On each page you easily fit 6 months, by creating 6 columns and on the left hand side you write the numbers 1-31 creating 31 rows that are representing the days of the month. You can also break down the months by weeks with separation lines in each column. That makes it easier to plan. Also some columns have lined boxes at the bottom, because not all of the months have 31 days. The way it works is pretty simple actually. I've created a colour coding system at the bottom of the page that works for me, in order to separate the different events/tasks. So, for example if I happen to have a future event, like the one I had for the Fairy Folk Fest, I will note it down on my daily spread and I will have a coloured box according to the type of event next to it. In this case it's light green because it was a kids' event. Then I will note down a light green box on the day of the event and on it I'll write the number of the page my daily spread was that I wrote all the information at (in this case, it was page 22). Because I didn't want to make my future log with all the birthdays and stuff redundant, I just put a coloured dot and then I know that I have to look on that page. And that's it! It's pretty simple, even though it might look complicated at first, and it works perfectly fine for me. This method gives you 4-5 slots for events/tasks per day. If you happen to have more than that, then you'll just have to spread the months in more than two pages and then have more slots allocated for each month. 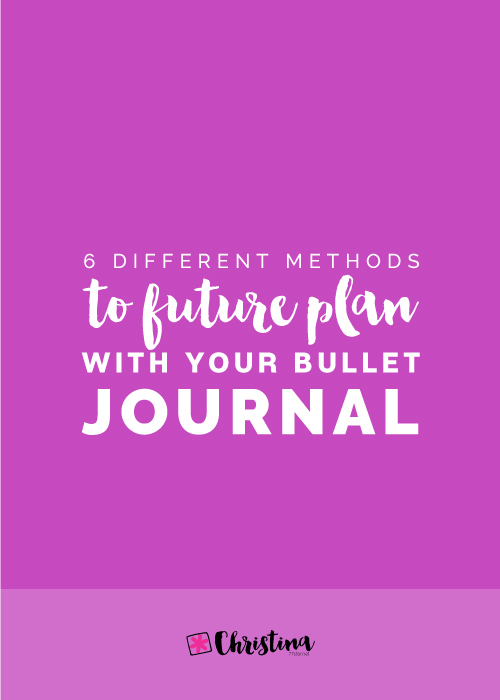 Which method are you using for your future planning with your bullet journal? Have you given Calendex a try? 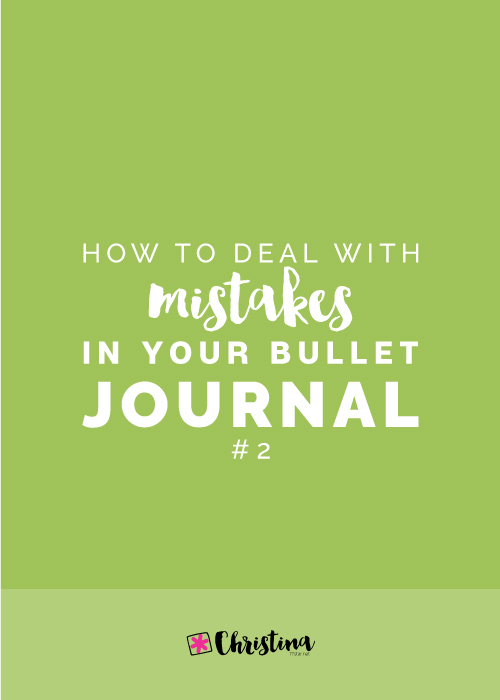 I've been getting a ton of questions lately about what supplies I am using for my bullet journaling. Especially after I posted these pictures on Instagram ( here and here ), everyone was asking what I used to create that shading. So, instead of answering each one individually, I decided to create a post where I talk about all my favourite supplies that I use at the moment. So, relax, grab a cup of coffee and let's dive together to my happy place - the stationery world! First stop is of course my Leuchtturm1917. Oh, I love this notebook so much! I haven't used any other (like the Moleskine or the original Bullet Journal) in order to be able to compare them, but I'm really pleased with my purchase and I love the colour <3. I am using the light blue A5 dotted one. I've already written a whole blog post about it and all it's characteristics with lots of pictures, if you want to check it out more here. Next are the soft coloured pencils that I'm using to do all the shading in my bullet journal. They are made by Pelikan and they come in a tin case with 24 bright and vivid colours that draw like a dream. If you're looking for colour pencils to create shading like me, make sure you choose soft pencils, so that you have a smooth application and less lines. You can buy them on Amazon or get similar ones here. 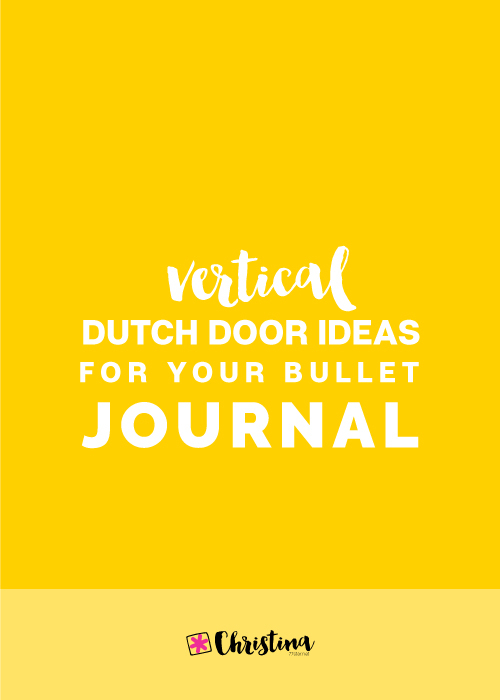 These I feel have become a must in the bullet journal community, especially after Kara (from Boho Berry) has talked about them. And I have to agree - they are very, very good. 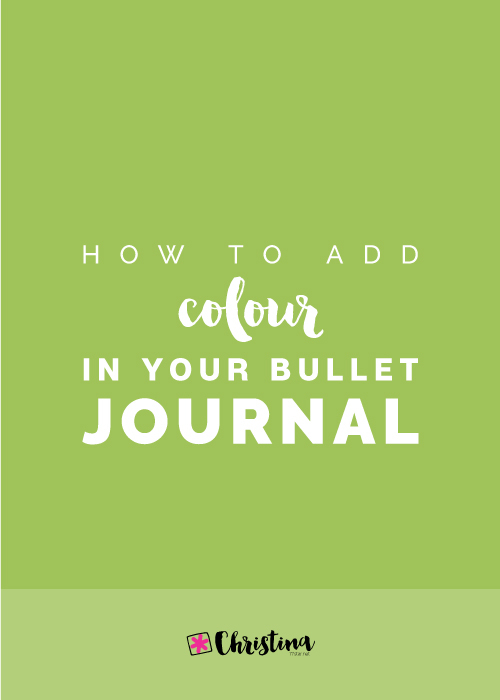 With a fine tip of 0.3 and very little ghosting they are perfect for adding colour to your bullet journal on an everyday basis. These are amazing! The colours are vivid and bright and you get very good pigmentation. They are water-based with an 1mm sturdy tip and they come in 46 colours. I have quite a few of them and I really really like them. And the best part of all is that you get only a bit of ghosting at the back of the page! I also sometimes use them before I start the shading, if I want a more intense colour in certain areas. They have a neon line that I really like as well. I also use their 2in1 pens which are equally good and you get two pens for the price of one! Especially the black one, I use it all the time. These ones I use them e v e r y d a y! I love them! They are a bit off black - so don't expect the darkest of blacks with these babies, but I like it. They come in various tip sizes, and I have the 0.1, 0.3, 0.5 and 0.7 ones. By far my most used one is the 0.3. It's perfect for writing and drawing the lines around your sketches etc. The 0.1 is great if you want to draw something with great details. And the 0.5 and 0.7 are great for thick lines and titles. For thick lines I also use the Faber-Castell Broadpen 1554 one, which has an amazing shade of black with purple undertones. As far as my favourite pens to write are concerned, I tend to change and use different ones all the time. I'm one of those people you see in the bookstores that tests all the pens and usually I buy 10 pens on my way out, even though I went in there to only buy a book for example! This is my favourite one by far! Really nice dark black and very precise needle tip, that even though is 0.7mm writes pretty thin. Zero bleeding and only a bit of ghosting. It comes in an amazing light blue and one of the best greens I've ever used as well! If you want great detail in your writing then look no further. These pens have a very smooth fine point with no smears and almost no ghosting. Just perfect! 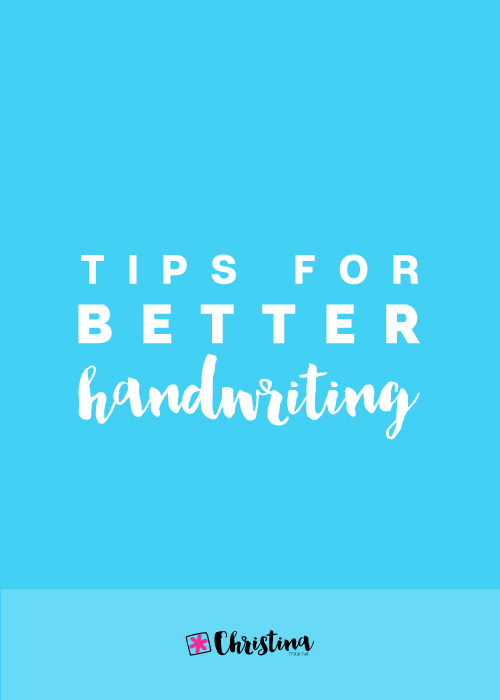 Only a few times I noticed that when you start to write, the ink might not flow as well and you might need to write on a piece of paper to get it started. But apart from that they're excellent. I have the blue colour as well that I like. This list would not be complete if I didn't include my favourite pencils that I use everyday. I always use a pencil first in my drawings and sometimes I prefer to write in pencil too. I find that my handwriting looks better in pencil sometimes. I usually tend to draw with an HB pencil, for softer lines. The Faber-Castell ones are great and I really like the grip they have. When I write or I want more dark lines I use a 2B pencil. Again, I choose the Faber-Castell ones because I really like them. 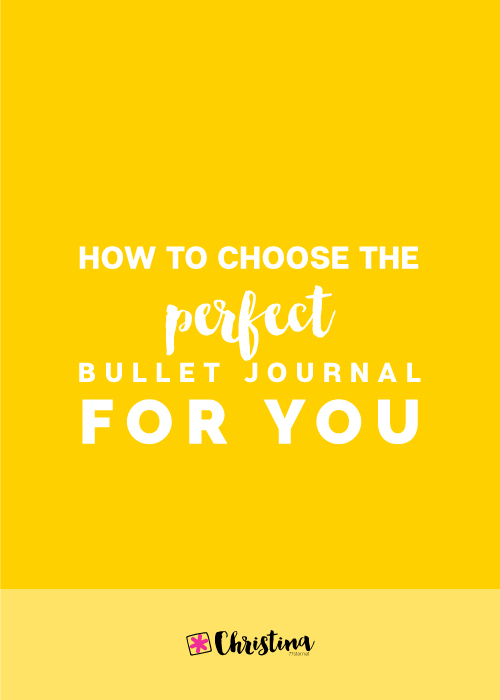 Of course, as a proper stationery addict my wishlist is quite big, and since I've started my bullet journal it gets bigger and bigger! My next purchases will definitely be the Tombow Dual Brush Pen Art Markers, the Faber-Castell PITT artist pens, and the Sakura Pigma Micron Pens.